The Ministry of Finance is gathering comments on a draft circular guiding e-transactions in the securities market which sets out principles and procedures for carrying out such transactions in a smooth and safe manner. As per the draft, e-transactions in the securities market must adhere to the principles of clarity, equality, truthfulness, safety, effectiveness, and compliance with the Law on E-Transactions, the Law on Cyberinformation Security and relevant regulations. The draft adds provisions on data confidentiality safety and storage in online transactions, requiring that before being put into use, the online trading software must undergo penetration testing. Risk assessment for the online trading system would be conducted once a year. In addition, securities companies would have to provide solutions for investors to use digital certificates and signatures if the latter so wish. The draft says a dossier of registration for provision of online trading services would comprise four types of papers, instead of nine as at present. Also, such dossier would be processed within 20 working days, but not 35 as currently prescribed, from the date of its receipt. 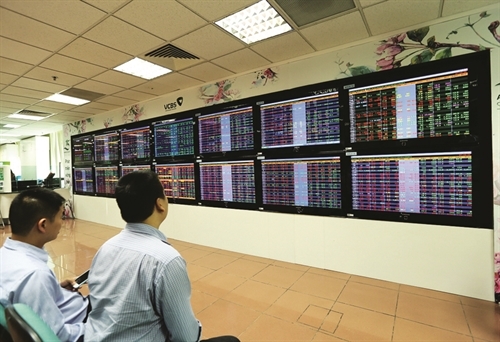 The draft goes on to say that securities companies licensed to provide online trading services must submit to the State Securities Commission annual reports on online securities trading activities and reports on upgrading of or change in their online securities trading systems, e.g., change in the transaction method, information technology officers or system installation places.